Today is a day set aside to honor the great men and women of the U.S. and Canada who have served their countries through military service. A huge “Thank You” to our neighbors, friends, IAM Brothers and Sisters and everyone who has put on the uniform and took the oath to defend our countries. 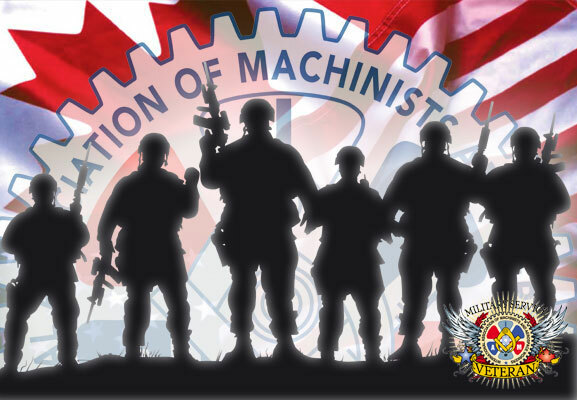 It is an honor for me to serve in a union with so many military veterans. I am proud of each and every one of you. The IAM has a long-standing and proud history with the military. Thousands of IAM members build the equipment that carries our men and women into battle and keeps them safe. Thousands more work on military bases in support of those serving, making sure they get the care and assistance they need and deserve. From my own service in the U.S. Navy, I understand the commitment and sacrifice it takes to earn the title “veteran.” Veterans defend our right to organize, our right to vote and our right to speak freely. We are also indebted to their families for the sacrifices they make for the betterment of our nation. The IAM promises to continue to fight for veterans to have access to good paying jobs and quality healthcare. We will keep up the fight against veteran homelessness, and fight to end the epidemic of veteran suicides caused by PTSD. We owe them that much. We owe those who serve a great deal of gratitude and thanks for the freedoms we enjoy, and sometimes even take for granted. Happy Veterans Day in the United States and Remembrance Day in Canada.